How did social communication evolve in primates? 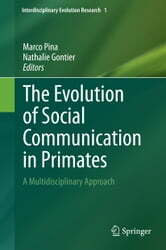 In this volume, primatologists, linguists, anthropologists, cognitive scientists and philosophers of science systematically analyze how their specific disciplines demarcate the research questions and methodologies involved in the study of the evolutionary origins of social communication in primates in general and in humans in particular. In the first part of the book, historians and philosophers of science address how the epistemological frameworks associated with primate communication and language evolution studies have changed over time and how these conceptual changes affect our current studies on the subject matter. 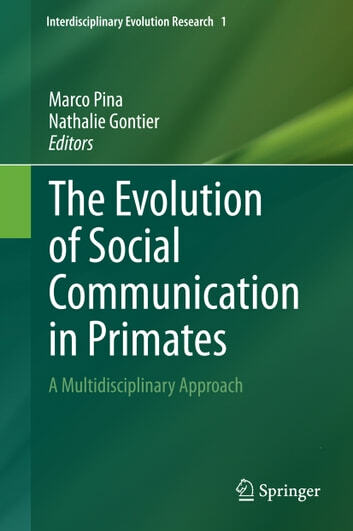 In the second part, scholars provide cutting-edge insights into the various means through which primates communicate socially in both natural and experimental settings. They examine the behavioral building blocks by which primates communicate and they analyze what the cognitive requirements are for displaying communicative acts. Chapters highlight cross-fostering and language experiments with primates, primate mother-infant communication, the display of emotions and expressions, manual gestures and vocal signals, joint attention, intentionality and theory of mind. The primary focus of the third part is on how these various types of communicative behavior possibly evolved and how they can be understood as evolutionary precursors to human language. Leading scholars analyze how both manual and vocal gestures gave way to mimetic and imitational protolanguage and how the latter possibly transitioned into human language. In the final part, we turn to the hominin lineage, and anthropologists, archeologists and linguists investigate what the necessary neurocognitive, anatomical and behavioral features are in order for human language to evolve and how language differs from other forms of primate communication.